From scheduled boardroom lunch, a conference or product launch, we have plenty options to choose from to satisfy anyone’s taste buds. 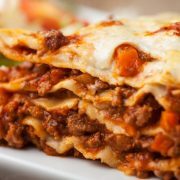 Please, look through our variety of buffet options, platters, lunch boxes and more. Family dinner can be so much more fun when all you have to do is click buttons! Choose from our fine buffets, platters or gourmet BBQ and seat back and relax, let us do the rest! Whether it’s wedding, engagement, birthday party, Christmas party or any special event, let us tailor a menu for your event. 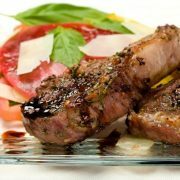 IQ Catering has hands-on experience, passion and the creativity to serve you delicious and high-quality meals. For over 15 years we have been dedicated in providing our customers with a complete catering experience, consisting of stylish and tasty food, tailored functions that suit their desires and a customer service approach they will savour. Thanks to our unmatched experience and commitment to delivering fresh, flavoursome, and exceptional catering service IQ Catering stands out as one of the leading catering companies in Melbourne. By following our core values we have established ourselves as one of the best catering companies in Melbourne. With our attention to detail we can manage all types of functions and catering options. 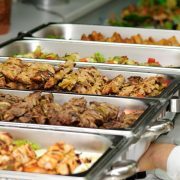 From small gatherings such as birthdays, private event catering, through to large functions including weddings, corporate office parties our passionate team of caterers is committed to giving you the perfect function and service that you deserve at a competitive price. Dedicated, passionate and creative, our commitment as caterers sees us focus on ensuring that we deliver nothing but the best for all our clients when it comes to event catering. Our approach is to listen to the taste requirements and unique experiences our clients want for their events. From there we work to create the perfect package for their event. 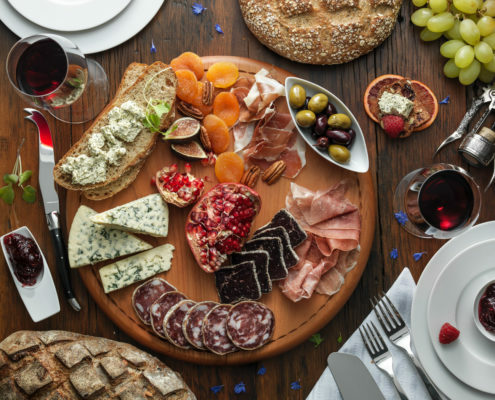 Whether you are wishing to host corporate parties, birthdays, or anniversaries our gourmet and well-presented catering solutions will be perfect for the occasion. With a selection of stylish meals and canapés, we can add the extra spice and excitement with our complete cocktail party catering. When it comes to wedding catering services you want a company that can enhance your day. At IQ Catering we want to make your wedding truly unique and special. Our skilled and professional team can deliver an indulgent and stunning menu and atmosphere so that it fits in with your desired wedding experience. Thanks to our knowledge, expertise, and passion for delivering a comprehensive and tailored catering experience IQ Catering can ensure that your event lives up to your expectations. 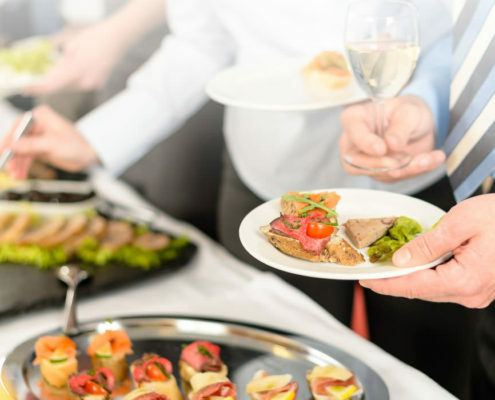 To learn more about how we can enhance your private or corporate event with our detailed catering solutions Heidelberg, Ivanhoe and other suburbs of Melbourne residents can call us today! 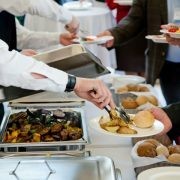 From product launches to store openings, regardless of the event you are hosting, we will deliver the catering service for it. Looking to impress clients? Motivate your employees? Preparing for a boardroom meeting? Our corporate catering service will be tailored to your needs. 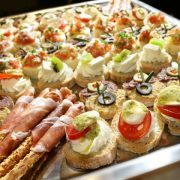 With our canapes and stylish buffets, you can thoroughly enjoy your cocktail party in style. We can cater for all special and stylish events. Throwing a birthday party? Or perhaps an anniversary party? Our private catering service is what you need to enjoy it, without stressing over it. From Christmas to Easter, from organising a wedding to a planning a christening, we will provide you with the service that leaves the perfect taste in your mouth. We have all the experience and passion for helping you with all your catering requirements. We offer professional staff, a personalised event coordinator, equipment and everything you can imagine! Who doesn’t love to enjoy a crunchy snack, a delicious bite or a healthy meal? 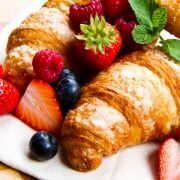 With our assortment of tasty treats, we can provide you with a platter that livens your mornings or afternoons. Regardless of the type of lunch you are after, we can create it for you. There is nothing more exciting than looking forward and then enjoying a delicious gourmet lunch and Finger food catering Melbourne. We can do it all for you. 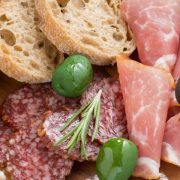 Freshly made and full of flavour, our sandwich bar collection will bring people together at all your functions and catering parties. 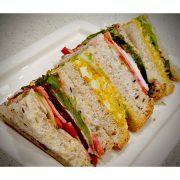 You choose the sandwich, we bring it to you, ready to be eaten on the spot. You won’t be able to resist yourself when our platters stroll past you. With a huge selection of tasty treats, covering a range of flavours, you won’t be able to imagine your party, wedding, birthday or function without them. Feel like having a conversation while nibbling away on some gourmet finger food? 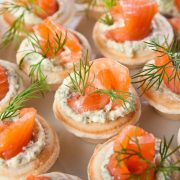 Our wide selection of canapes will entice you more than you can imagine. Choose your own selection today. There should be no limits when it comes to a delicious and tasty buffet. With our team, you can expect the complete buffet service, designed by and created only for you. Perfect for a wedding, party or corporate function. When it comes to a banquet, you want one that is going to stand out on its own. Our professional chefs will create the perfect meals and trendy food that will entice your guests at all your parties, including weddings, functions and more. Want to experience the classic Australian tradition of a BBQ, but catered completely for you? 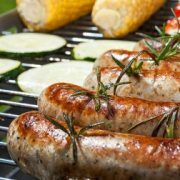 With our classic and modern BBQ options, you can enjoy your own catered and yummy BBQ party. Come on, we all love home. And we all love homemade food. We can bring back the love for you with our home-style meals, designed and created around your cherished memories. 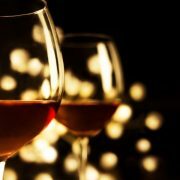 Our professional staffers have all the experience to provide you with perfect beverages for your party. Whether you want a barista or bar member, we have the people and drinks for you. 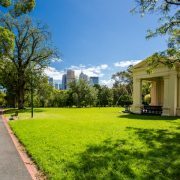 There is no need to worry about finding the best catering Melbourne venues with us helping you. If you are after a Banquet hall or a ballroom, we have the eye-popping and gorgeous sites that will provide you with the perfect atmosphere. IQ Catering has always been about committing to our Melbourne clients. We will help bring your party, or function, to life with our stunning customer service and our exotic food. 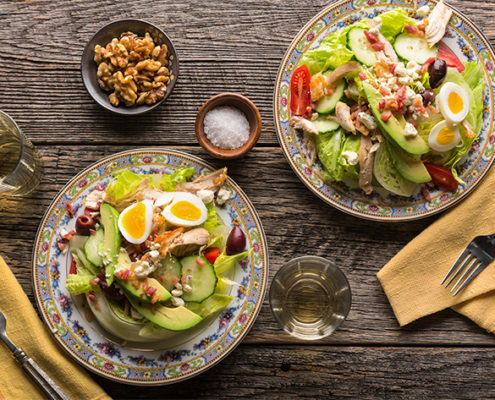 https://www.iqcatering.com.au/wp-content/uploads/2019/03/cobb-salad.jpg 473 709 admin https://www.iqcatering.com.au/wp-content/uploads/2016/07/Logo.png admin2019-03-14 06:07:062019-03-14 06:10:07Why Should You Choose IQ Catering For Corporate Lunch Catering?